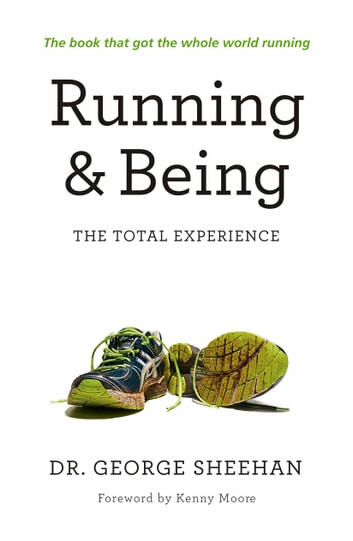 A New York Times bestseller for 14 weeks in 1978, Running & Being became known as the philosophical bible for runners around the world. More than thirty years after its initial publication, it remains every bit as relevant today. Written by the late, beloved Dr. George Sheehan, Running & Being tells of the author's midlife return to the world of exercise, play and competition, in which he found "a world beyond sweat" that proved to be a source of great revelation and personal growth. 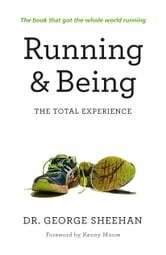 But Running & Being focuses more on life than it does, specifically, on running. It provides an outline for a lifetime program of fitness and joy, showing how the body helps determine our mental and spiritual energies. Drawing from the words and actions of the great athletes and thinkers throughout history, Sheehan ties it all together with his own philosophy on the importance of fitness and sport, as well as his knowledge of training, injury prevention, and race competition. Above all, Sheehan describes what it means to experience the oneness of body and mind, of self and the universe. In this, Sheehan argues, we have the power to discover "the truth that makes men free."